Dense fog developed in downtown Chicago and along the Lake Michigan shoreline early Thursday evening. 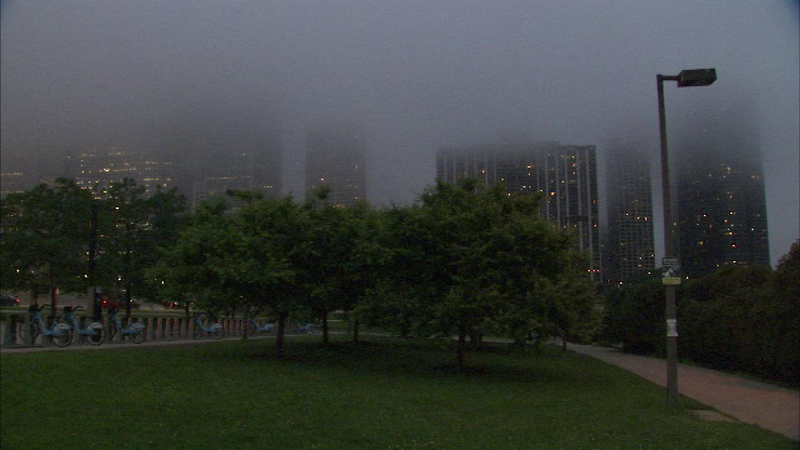 CHICAGO (WLS) -- Dense fog developed in downtown Chicago and along the Lake Michigan shoreline early Thursday evening. The National Weather Service said the fog is restricting visibility to less than one-quarter mile in some places, and may extend several miles inland in Cook County, as well as Lake and Porter counties in Indiana. The fog is also expected to reduce visibility along Lake Shore Drive, and possibly I-80, I-90 and I-94. Drivers are encouraged to use caution and slow down if they encounter dense fog.